It’s time to look at an old political film that shows one man’s fight against endless corruption. It can be a lost cause at times but if nobody takes a stand then the situation will never get better will it? It’s a pretty interesting movie even if the ending starts to stretch disbelief a bit. Still, the concept certainly isn’t hard to believe and sometimes things just work out this way. The film starts off with the local mayor/governor worrying about which new senator to elect as the old one died. He gets pressure from his higher ups to bring in people who are corrupt or have skeletons in the closet so they can be blackmailed. The mayor is close to doing this until his kids guilt trip him into appointing a local ranger leader named Mr. Jeff Smith. Smith is a very down to earth guy who wants to uphold the original ideals of the US, but Mr. Taylor doesn’t like this. Taylor is the kingpin in the shadows who has been controlling the state for years. He decides to do whatever he can to stop this Mr. Smith. I’m always up for a political film like this, especially when it’s in a court type setting. The senate meetings here are close enough. I remember hearing about how you could hold the floor indefinitely provided the circumstances were right so it was nice to see Smith use such a technique here. I’m sure there is probably a little more to it than this but it’s definitely fun to see. Smith has to talk for essentially an entire day which is pretty impressive for sure. That’s a lot of stamina. Of course, the corruption was quite deep here so the effects weren’t as powerful as he would have liked. I can buy into Taylor blocking all of the radio channels and newspapers but where it starts to get a little fishy is when he hires a mob to go around and start beating up on the kids. That part’s definitely a little hard to believe. They ran into the kid’s car and actually knocked one to the ground. By the end even the grownups on Smith’s side are telling him to stop because too many kids are being injured. Even if we are to assume that Taylor’s influence is so strong that all of these guys would be willing to fight kids, what about their parents or other resisters? We see in one scene a large group of adults running around with signs and such until the cops spray them, but then there should have been some adults to protect the kids as well. So while this part was dramatic I think it ends up getting a bit unrealistic by the end. During the film, Smith’s mentor (Paine) talks to him about the rampant corruption. Paine explains that it isn’t everyone who is corrupt, just most of them. I thought this was foreshadowing for some senators agreeing with Smith by the end and the film would have ended with the Senate in full disagreement. In the end, it appears even he underestimated how corrupt the place was as everyone was involved. He’s definitely the worst character in the film but at least you do know that he’s a traitor from the start so it’s not like you were surprised at this turn of events. While the writing is pretty solid and the film has good pacing, there is one plot that doesn’t work out well. It’s the comic relief one sided romance plot between Clarissa and a reporter. Their scenes don’t really add to the plot and the drunk bar one goes on for quite a while. I suppose it’s to show how she felt bad for Smith but you could already glean that information early on. Clarissa is a pretty reasonable character even if she does keep flipping from one side to the other. At first she thinks the situation is hopeless for Jeff so she just pretends to be on his side. Finally she does end up going to his side and to her credit she is indispensable by the end. Without her Jeff would have certainly been tricked or have lost the will to fight earlier. Jeff’s a good character, but pretty gullible. While he ended up sticking to his core values and beliefs despite the overwhelming pressure he wouldn’t have gone far without help. If Clarissa hadn’t tipped him off he would have kept falling for that other girl’s tricks. The instant he let romance get above his duty I had to admit that this senator business may have been a little too much for him. He’s earnest, but to that end I’d figure that he would have done more reading up on what it means to be a senator. Sure, it was harder to get information back in the day but I’d like to have seen him be a bit more pro-active. These are more in-depth critiques of his character though, on the whole he was still pretty solid. It’s just that he could have been even better. One character who stole the show quite a bit was the chairman for the senate. I like how the whole thing was basically one big joke to him. He’s a fair judge who doesn’t bend to the others. He knows his importance. Whether the right choice is made or not isn’t something he cares about so long as they follow the rules. It may not be heroic, but it is pretty enjoyable to see. 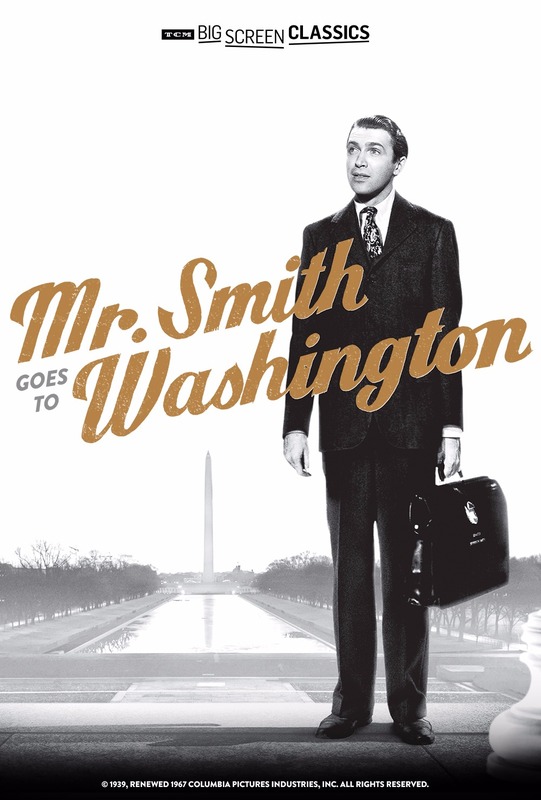 Overall, Mr. Smith Goes to Washington is a pretty solid film. It definitely shows how hard it is to get your point across when you’re up against corruption. Smith could have stood there all day without the senators reacting and that’s just what he did. Honestly I would have done more whistles to wake them up like he did in one scene, but I suppose he also didn’t want to be held in contempt of court or anything like that. That probably would have backfired. I’d definitely recommend checking this film out. It’s pretty original.